One of 13 players who survived a hockey bus crash in Saskatchewan last spring remains in hospital where he is slowly recovering, although he still isn't fully aware of what happened. 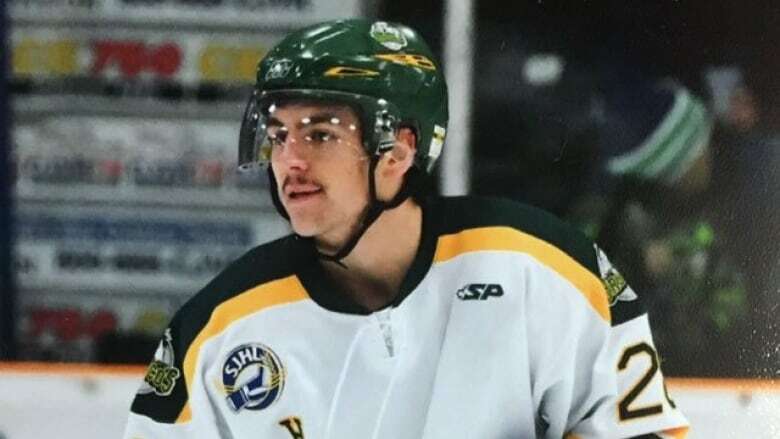 The family of Layne Matechuk says his main obstacle continues to be the brain injury he suffered when the Humboldt Broncos team bus and a transport truck collided at a highway crossing in April. The crash killed 16 people, 10 of them players. Matechuk's family says in a statement that the 18-year-old is getting stronger every day, but is struggling to get his speech back. The family also says he is working on getting more movement in the right side of his body. The statement says his leg is "pretty good" but tremors persist in his right hand. The last update came in late June when the family said Matechuk had been in a coma for a month and didn't seem to remember the crash. In the statement released Tuesday, the family said Matechuk "is still not fully aware of all that has happened with the accident, but is getting closer to being able to deal with it." The Matechuks also expressed thanks to medical staff, first responders and air ambulance workers for their "pivotal role" in helping everyone involved in the tragedy. The statement came on the same day the Broncos announced their home opener next Wednesday against the Nipawin Hawks is sold out.